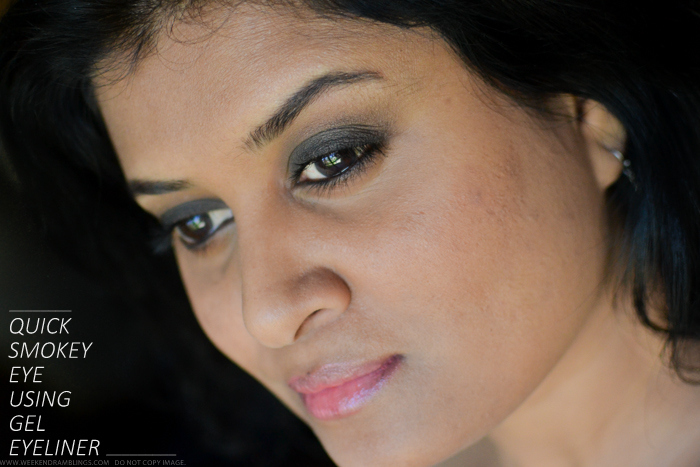 Today's makeup look is one of the easiest and quickest smokey eye makeup looks I have ever tried. If you are wondering why anyone would want to do a smokey eye in the middle of summer, it's because I just have to finish up my MAC Blacktrack Fluidline! I don't know if I happened to get the one faulty product to slip through MAC quality control or something, but this just doesn't work on my eyelids. It's dry and goes on flaky and ughhh. Anyway, much as I want to just throw it away and go hug a L'Oreal eyeliner, I also feel bad about wasting $16. 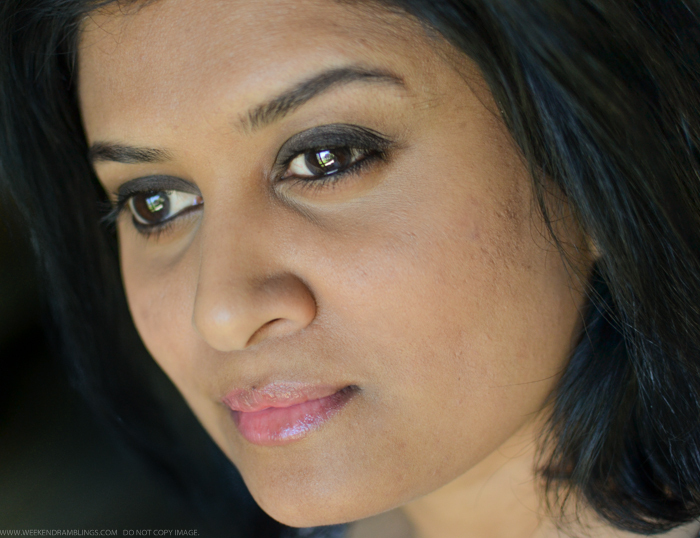 Hence the bright idea of using eyeliner as a base for a smokey eye :D Here's a quick how-to. 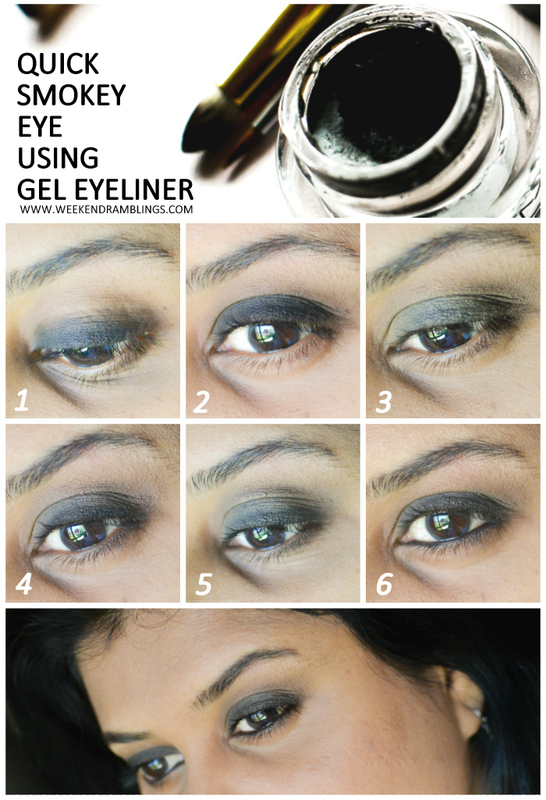 Using a fluffy blending brush, pat on black gel eyeliner all over the lid. Use dabbing motions to apply the product over the lid but stop short of the crease. Wipe off excess product from the brush on a clean tissue and use the same brush to blend the edges of the liner, extending it slightly outwards from the crease. Using the same blending brush, apply a wash of shimmery light brown shadow all over the lid and blended along the crease (I have used MAC Soba). I wanted to tone down the black so picked this color. 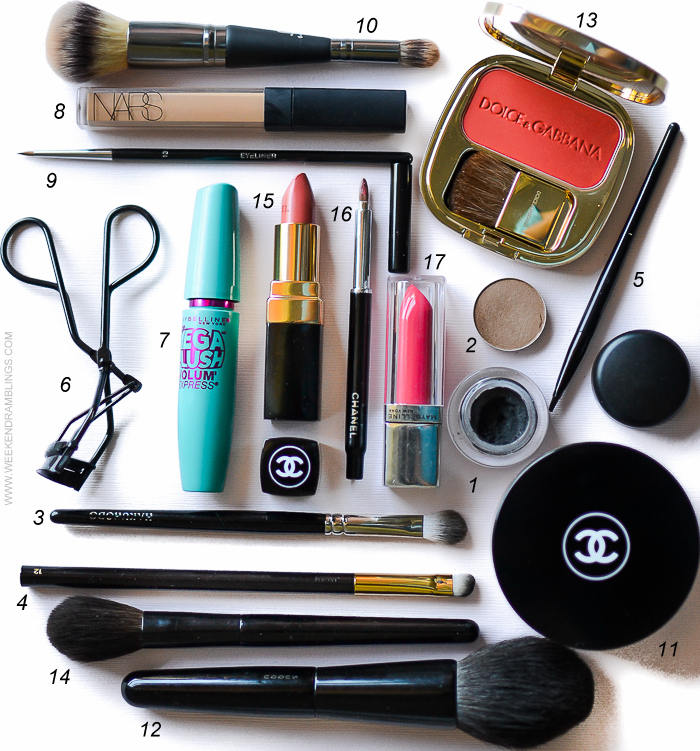 You can use any color - matte or shimmer. Use a smudger brush, apply black eyeliner along the upper lashline. Buff some color along the lower lashline using the same brush but with no extra product on it. Using the same smudger brush, pick up some of the brown eyeshadow (that was applied all over lid) and soften the black liner along the upper lashline. Apply black liner along waterline. Curl lashes and apply mascara. And that's the finished makeup look.